6 hours of in-vehicle driving training with a NJ MVC Licensed Instructor. This is an in-depth instructional program which consists of introducing you to driving. You will practice steering, parking, learning road/street driving, how to read and negotiate road signs and regulations. 6 hours of in-vehicle driving training with a NJ MVC Licensed Instructor. If you already know how to drive and still don’t feel quite prepared for the road test at the NJ MVC, this lesson is a good choice for you! 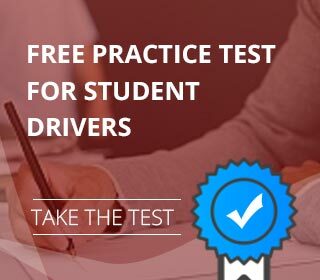 The instructor will focus the lessons on what is expected when you attempt the Road Test, take you there, and allow you to use the school’s car for the test. (3-2hr lessons teen driving rates) Teen behind the wheel training. Our teen student will participate in hands-on driving (teen at the helm, instructor in the co-pilot/passenger seat) and practice local road and highway driving, parking, braking and various turns and other techniques essential to safe successful driving –.along with the skills required to pass the driver’s test. After your lessons, we ask to meet with a parent for 5 or 10 minutes if they’re available. During this time you, your parents, and your instructor can discuss your progress and your most challenging areas. We discuss ways to work as a team to target and overcome every issue. This Teen Student package is $275 plus an additional $14 for the driving permit and decals. With this service, Toms River Driving School accompanies you to the road test. A review lesson is provided prior to the test for a warm up on parallel parking, k-turn, Our MVC Licensed instructor is with you from the time you are picked up until you finish your road test and are returned home. Toms River Driving School provides the car insurance, vehicle registration and all paperwork necessary to make this process simple and convenient. Drivers Road Test Service with 1/2 hour pre-test lesson and door-to-door service. Toms River Driving School NJ provides private top quality, one-on-one, driving instruction without sparing any expense on safe vehicles and top driving instructors. In addition to our excellent driving lessons, Toms RIver Driving School is open 7 days a week, day and evening hours and provides door-to-door service – we pick you up and we drop you off at your school, work, house or apartment. If however, you are interested in a service that is not listed here, don’t hesitate to get in touch with us! We strive to provide flexible and attractive services, and are always looking to improve and expand our existing service list.